New report highlights major potential for the UK finance industry if collaboration is made possible. Technology firms and banks need to collaborate on fintech if they want a smooth ride towards innovative new digital products and services. This is according to a new report published recently by TheCityUK, Santander UK and Shearman & Sterling. The report also stresses the importance of these partnerships in strengthening the UK’s position as the world-leading fintech centre. The report, ‘Transformation and innovation: a guide to partnerships between financial services institutions and FinTechs’, discusses seven possible models for collaboration. Each looks at the most common problems and legal issues that need to be taken care of in order to draw out the partnership’s maximum potential. Those include property rights, regulatory compliance and data protection and privacy. Among the seven models for collaboration proposed in the report are examples such as API and sandboxes (as carried out by Mastercard), hackathons and entrepreneur in residence (Lloyds Banking Group) and a start-up corporate accelerator (Barclays). “FinTech is already transforming the industry, and giving customers easier access to a greater choice of financial services, but more can be done. 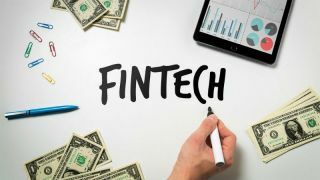 FinTech start-ups and incumbents need to share expertise more effectively and work together more collaboratively to create new, innovative products and services,” commented Marcus Scott, chief operating officer, TheCityUK.